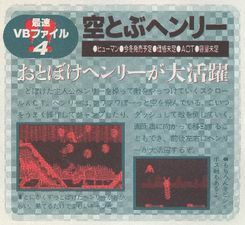 Sora Tobu Henry (空飛ぶヘンリー Flying Henry) is a cancelled 1995 action Virtual Boy game that was in development by Human Entertainment and planned to be released in December of 1995 at 5,800 yen. The plot centers Henry, a strange creature with big ears, plays the active role. The pride of Henry would that he would fly in the sky. He would slowly flutter through the air by flapping and fluttering his huge Dumbo-like ears as though a balloon floating in the air is moving in accordance with the player’s will. In the game, the player’s goal would be clear multiple stages, each of which was comprised of 3 areas. 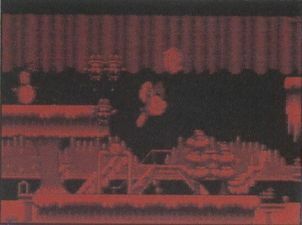 Each of these areas would have requirements for clearing it, such as collecting the items and defeating all of the enemies, and the final area has a boss that you would have to confront. Thus, the circumstances were similar to those of typical action games. Henry would have a dash attack, which uses stored-up power, as well as an attack on the back of the screen. 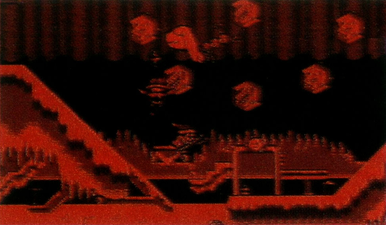 The enemies would come from all directions (including the background). 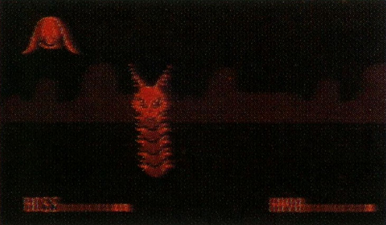 The game was cancelled due to Virtual Boy's failure. Only five screenshots and no prototypes of the game have surfaced. 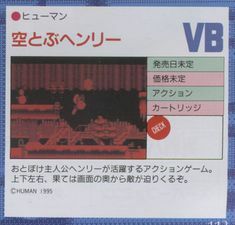 Dengeki Super Famicom Magazine review of the game. 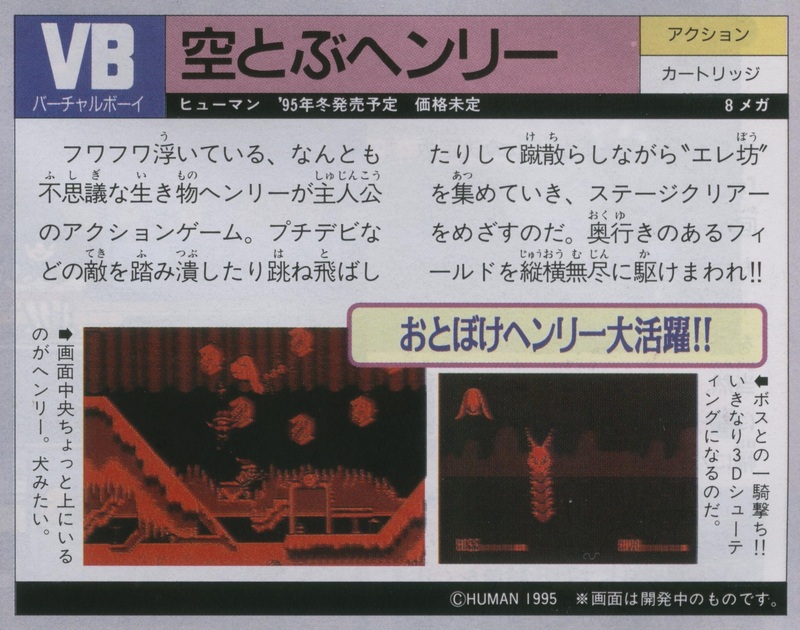 Jugemu Magazine review of the game. 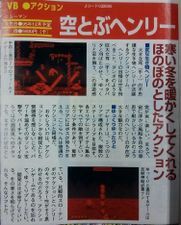 Famitsu Magazine review of the game.